You don’t have to spend a lot to be stylish. My blog has always been about mixing high and low fashion. 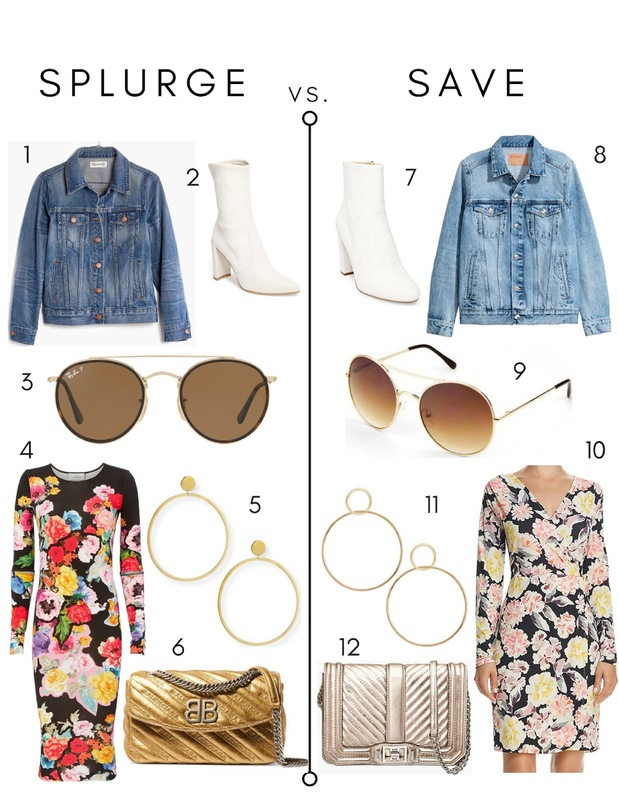 If I am wearing a splurge items I always find a similar item that is affordable. I add a variety of price points in the shopping widget at the bottom of my posts to give you a variety to shop from. This is my first time doing a splurge vs. save post and I would love your feedback. Let me know if I should do more of these! I chose to start off with this fitted floral dress because I bought two already for spring and I think they are a great easy go to piece that can be dressed up or down. I posted my version of this look on the blog last week (read it here) which was a mix of high and low and here I present it to you by separating the high and the low pieces.